The Lifestyles Fitness Center has been doing some remodeling this week. Over the past few weeks we’ve been painting, received all new treadmills, and last week we installed new carpeting. Rather than close the center, we kept the center open and let our members know that some of the equipment would not be available. We have another location a couple miles away and members could go there instead. Alternatively, we promoted this as an opportunity for people to try something different with their program. It’s an opportunity to change from having a “routine” to something exciting and different. The carpeting process was scheduled to last three days. On day 1, members came in at 5 AM and a few were shell-shocked. They wandered around trying to figure out what to do, randomly pulling a cable here and doing a rep there. A few said, “I can’t do anything today”. One nearly climbed over a few cardio machines that were pushed together just to get to the one machine he uses every single day. He looked quite relieved and proud that he did the same thing as yesterday, and the day before, and the days and weeks before that. Your body is a pretty amazing system. It adapts to the positive stress of exercise. When you place a load on the body it adapts to that load by getting stronger. Soon, the body sees that load as normal and unless you place a different stress on the body it hits a plateau. If you do the same walk on the treadmill, at the same speed, for the same distance, over the same duration, your results will not improve. That program will work at first, but the Law of Dimishing Returns says that sooner or later the result will be zero. My point is that you need to keep the body guessing as to what’s coming next. Take a look at your personal program. Are you still doing the same thing you’ve been doing for weeks, months, years? If so, turn it upside down, make it tougher, and get ready to see results! Are you doing your cardio at the same intensity? Maybe you’re ready for interval training? How about trying a total body exercise like swimming? Need help creating a new program to get the results you’re looking for? Give me a call at (630) 269-8992! You’re ready to take your training to a new level and buy a heart rate monitor. So, what should you look for in your new training partner? A basic bare bones heart rate monitor will cost you about $50 and will do just as the name suggests. It will monitor your heart rate. For the geek at heart (we know who we are), the monitors at the top end of the range will connect you to your computer, plot your location and route by GPS, store your data, offer comparisons against other workouts, and more. I’ve owned several Polar monitors and have been very happy with them. Suunto and Garmin also make great products. Here’s a summary of the most popular features that you’ll find and what they mean. The more features, the higher the price. ECG accurate – The monitor is considered to be as accurate as an electrocardiogram. A monitor from a good quality company will have this as a basic feature. The monitor does this by taking constant readings through the use of a chest strap. Large easy to read display – A bright and easy to read display is a joy when you’re trying to see your monitor while on the bike, running, pool, or whatever your favorite exercise. No stopping or squinting needed. Target zone alarm – Tells you when your heart is below or above a particular zone. Recording time in zones – Allows you to review the time you’ve spent in certain training zones so you can make sure you’re working hard enough, or that you’re not working too hard. 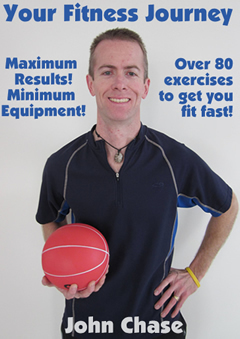 Fitness tests – Will take you through a fitness test and determine max heart rate, VO2 max, or other measures of fitness. Calorie measurement – Tracks your caloric expenditure based on your workload, your weight, height, and age. Water resistant – This one’s really important. You might not plan to use your monitor when swimming, but you might get caught in the rain or the condensation from your body will exposure the unit to moisture. Make sure your chest transmitter is also water resistant. Once again, if you’re buying from a quality company you won’t have a problem here. Lap counting – Allows you to compare your times over laps during your workout. Great for runners on the track or anyone who uses a short repeatable route multiple times in a workout. Interval programs – Allows you to program the monitor to vary your intensity and alerts you when you increase or decrease the intensity. User serviceable – It’s great to be able to change the batteries by yourself rather than having to send the watch or transmitter to a service center. If your monitor is water resistant, this may be a pie-in-the-sky dream as the company will not support a warranty if you change the battery yourself. Water resistant monitors usually have a seal inside that they want to make sure is properly replaced and they’ll only guarantee it if they do it themselves. Computer interface – Connect to your computer to download data. Allows you to compare your workouts and see what progress you’re making. Some will even allow you to create workout profiles on your computer and upload them to the monitor. This is much better than trying to push tiny buttons on the monitor and create a workout. Large buttons – I want mine to be a good size so I can activate them easily, even with a gloved hand. GPS – The high end monitors like the Garmin Forerunner 310XT HRM incorporate GPS functions that can plot your location on a map. If you use the same route regularly, you can store the route and compare your progress today against previous exercise sessions and see how you’re doing. I came across a 2007 study from McMaster University in Canada regarding milk and fat loss. Mom was right. Drink your milk! The group that drank milk lost almost twice as much fat as the group drinking the carb beverage. They also gained 40 percent more lean mass than the soy drinkers and 63 percent more than the carb drinkers. Need more evidence? 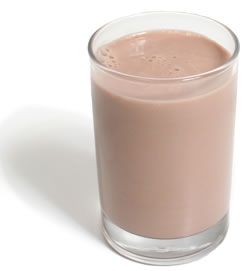 A study published in Medicine in Sports and Science, the journal of the American College of Sports Medicine, studied a group of competitive soccer players and determined that post-exercise consumption of chocolate milk had equal or better benefits than a commercial workout recovery drink after intensified training. Mom was right. Drink your milk! Make mine chocolate please!